Have fun learning as a family and develop your own skills with Idea Store online learning tools and resources. Discover languages together with fun and engaging learning activities. Details of courses available can be found in the 'Family Learning' section of the Course Guide. 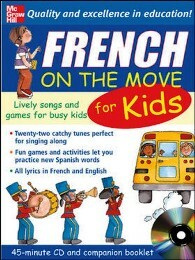 French on the Move for Kids - lively songs and games. Available to download free and burn to CD. Hear-say French and Spanish - the kids way to learn a language, first they hear a sound, then a word. Visit the 'Puzzles' tab for fun interactive word games, crossword puzzles and vocabulary games. Take the Oxford Dictionaries Spelling Challenge. You are required to add an additional 'TH' prefix to your library card login. Visit 'Animal Kingdom' in the 'Features' section and play the fun game 'Where Do They Live?'. Also in the 'Features' section, become a 'Geography Explorer' and test your knowledge with this fun, educational and interactive game. Help your children learn while having fun, with Britannica Spotlights. Each of these mini websites includes interesting facts and fun learning activities.